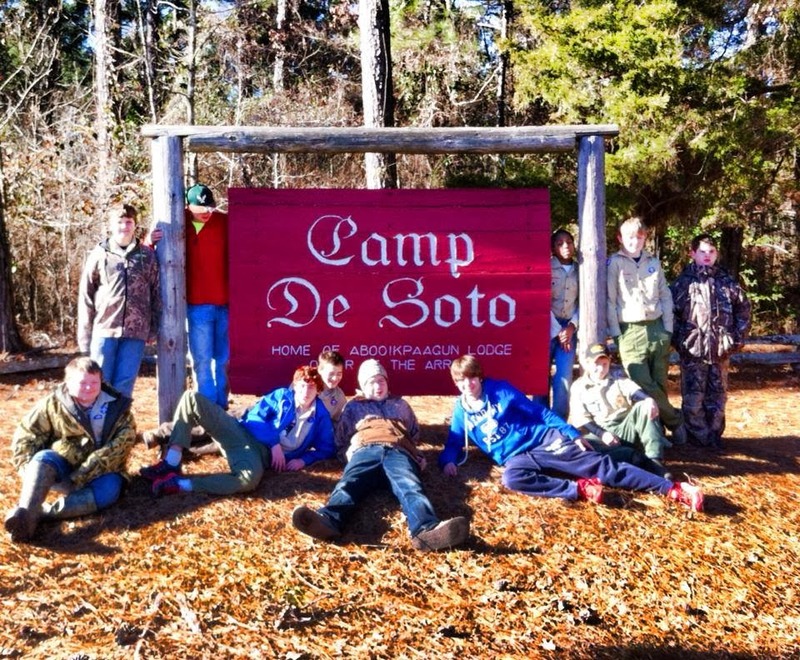 We had a GREAT time at Winter Camp this year, the boys earned numerous merit badges and participated in several Scouting activities. The Scouts earned the "Stone Cold Camper" patch since the nighttime temperatures dropped below freezing during our campout. We had two of our senior Scouts on staff this year, one new Scout joined us as a first-time camper and one Scout and one Adult Scouter got nominated for OA Spring Ordeal. Mr. Bob Berryman joined us brining lots of dry firewood for the campfire... Thanks to Mr. Bob and Scott for the firewood. Now its time to start preparing for our next adventure, a weekend wilderness backpack hike and campout on the Butterfield Trail at Devils Den State Park, Ozark National Forest near West Fork, AR. March 14-16th., 2014 (More information to come soon). Our next Troop Meeting will be Monday, January 27th, 2014 @ 6:30PM, FUMC, Scout Room.